This is one of those bundles you see and you just KNOW you can use the goodies in at least two projects right away. THEN you give a minute and realize that there are 10 more possibilities down the line. That's when you stop and just buy it. At $14, you're not going to regret it. If you're looking for a quick turnaround, just slap them onto a t-shirt as-is, and start selling! For those of who who are looking for more customization, you're in luck. Source files are included. Grab this collection now before it's too late! 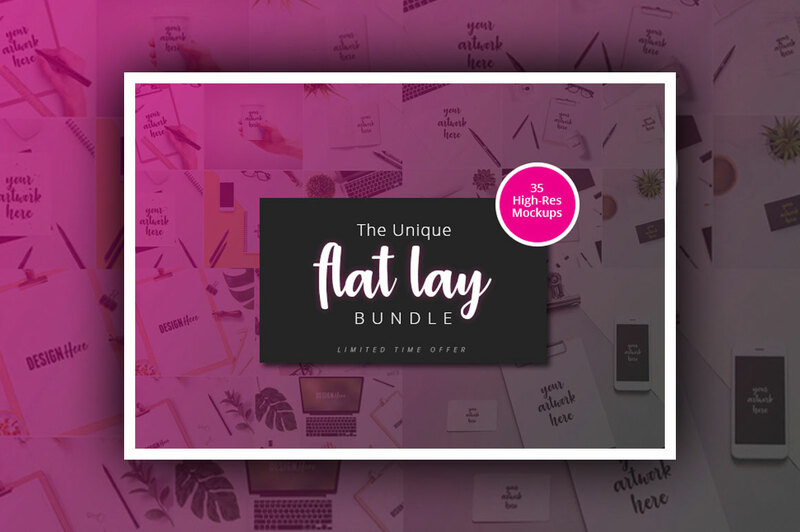 Get a project buttoned up with these simple-to-use high-quality flat lays. Normally, all of these resources and extras would cost you $175. For a limited time, you can grab them all in this pack for just $14. That's 90% off the regular price.